The Casual Dress is a great utility pattern with a tempting movement that works well on a wide range of waters. Tail : Muskrat guard hair. 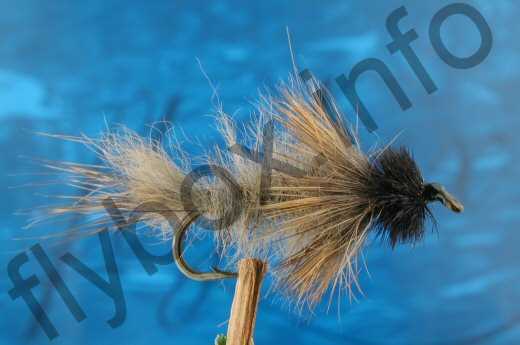 Hackle : Muskrat guard hair as a collar. Head : Black ostrich herl.